Mojo is the #1 Selling Sports Compression Sock Brand -- Our radical designs and colors keeps you stylish - on the road - at the gym - or recovering at home. These graduated compression socks give you the added benefit of improved circulation while performing any sport or leisure activity. You will notice your legs feel better at the end of any activity. Manufactured with Cool-Max, a fiber that pulls moisture from the skin and is absorbed to the outside of the sock. These are a bit thicker than our elite series socks, with additional thickness around the entire foot area, giving a new level of comfort in a support sock. Ideal for athletics, walking shoes, golf and any casual or sporting activity. 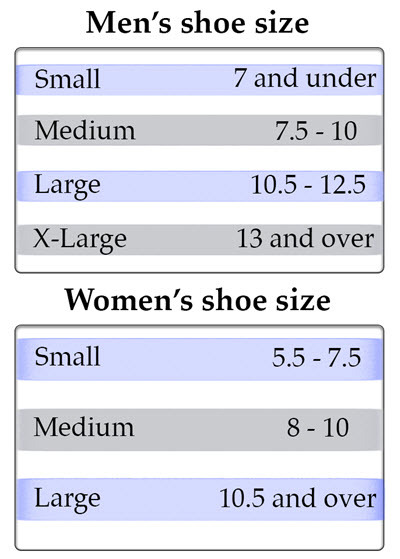 The thickness is about that of an athletic sock, so no need to worry about larger sized shoes. Mojo Sports compression socks are specifically engineered to match specific contours of each foot. Selective cushioning allows for padding and compression to be strategically placed in key areas, providing essential shock absorption. Better fitting socks can cut down on blisters and other irritations caused when your foot slides around within your sneaker. Used by professional triathletes around the world, Graduated Compression socks are scientifically proven - to maximize power, boost energy, and speed recovery time. These socks do make a difference Sold per pair. Mojo Compression Socks maximize muscle oxygenation and boost energy with unparalleled, scientifically optimized, compression technology for all-day benefits. True medical-grade, graduated compression socks - strongest at the ankle and gradually diminishes as it goes up the leg - not just providing a squeezing effect like many other compression products.